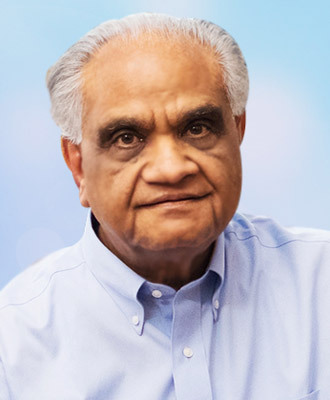 A world-renowned business consultant, author and speaker, Ram Charan has spent the last three and a half decades of his life working with top companies, CEOs and boards. He brings the depth of his knowledge and an inside view on the functioning of economies and leading companies to the speaking platforms when he delivers talks on leadership, talent, innovation, and more. Known for recognising the core business problems in the ever-changing business environment, the list of companies he has worked with include industrial giants such as GE, Tata, Aditya Birla Group, GMR, Bank of America and many others. Ivan Seidenberg, the former CEO of Verizon, called Ram his ‘secret weapon’. He has also served on the boards of companies such as Fischer and Porter, Austin Industries, Emaar and Hindalco. He is a well-renowned author, having written 15 books. His books have sold over 2 million copies in more than a dozen languages. He has co-authored the book, Execution with former Honeywell CEO Larry Bossidy, which was a #1 Wall Street Journal bestseller. His written work extends to columns in publications such as Harvard Business Review, Fortune and Time, to name a few.